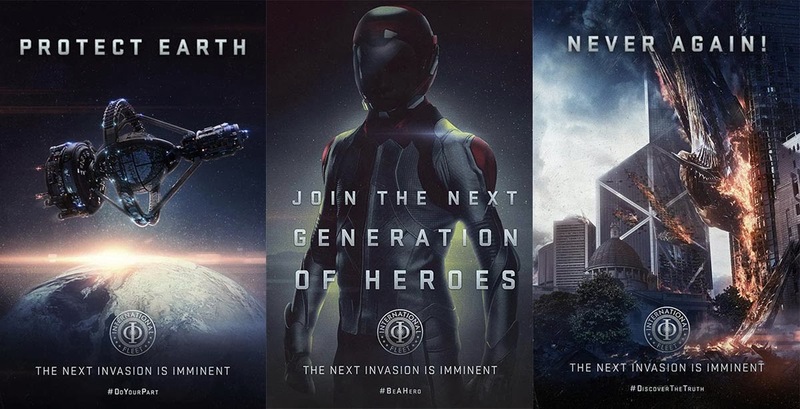 So they're adapting Ender's Game. I have to admit, when I read the book for the first time back in high school I didn't exactly fall in love with it, but in those days I hadn't figured out how to enjoy reading yet. At some point I saw a trailer for this year's screen adaptation Ender's Game and it was beautiful and exciting and sent a chill down my spine, so I decided it was time to return to the book. After going through the book twice and discovering everything I had missed as a teenager, I have some predictions for where the movie is going to go based on the trailers and other promotional videos available as well as the crew working on the film. In the interest of full disclosure, these predictions are mostly negative, but more than anything else that's because I'm incredibly excited for this new take on the material and am trying to temper my expectations. So take this with a grain of salt, but here is what I think will be wrong with Ender's Game. I want to get something out of the way before I start. I have no interest in debating the religious or political stances of the author Orson Scott Card. He may be a bigot, but he created a fascinating and enduring science fiction universe. Unless his personal opinions on homosexuality affect his narratives I have no interest in discussing them here, and despite my best efforts I can find nothing homophobic about Ender's Game (although Ender in Exile is apparently a different story). The fact that I would never want to have a beer with the man doesn't degrade the quality of his sci-fi. With that out of the way, let's talk about the crew working on creating the Ender's Game universe. Bad news first: at the helm both writing and directing the film we have Gavin Hood. To be fair, I haven't seen any of his movies myself, but with the exception of 2005's Tsotsi the critics have given Hood pretty poor marks. I mean, this is the man that made a Wolverine movie so bad that even Wolverine fans couldn't find reasons to like it. But like I said, I haven't seen any of his movies myself, so hopefully the critics have been unjust. Further behind the scenes looks much more promising. The cinematographer is Donald McAlpine, the man nominated for an Oscar for his beautiful work on Moulin Rouge! (2001) and who also did a great job with The Chronicles of Narnia (2005), so if nothing else there should be solid attention to color palette and frame composition. He also acquired action chops as the director of photography for Predator (1987) so he should be able to handle the difference in genre from his more recent projects. In the editing room we have Lee Smith and Zach Staenberg. Smith has worked on every Christopher Nolan project from Batman Begins in 2005 to the upcoming 2014 release Interstellar as well as The Truman Show (1998) and Elysium (2013), two movies I enjoyed greatly. Staenberg is a frequent collaborator with the Wachowskis who worked on both the Matrix trilogy and Speed Racer (2008), a personal favorite of mine. 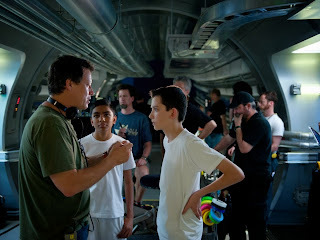 What all this means is that Ender's Game will likely feature your typical fast-paced cuts but with more than your average talent. Finally we have Steve Jablonsky working on the soundtrack. This man is best known for his work on the new Transformers movies (he's done the music for all of them) and the arguable spin-off of the series, Battleship. This is where things get really subjective. Personally, I'm excited for his soundtrack since it will likely be heavily electronic, but for some this might be disappointing. As an adaptation of a classic sci-fi novel, a more classical approach to the soundtrack could possibly lend a more serious mood to the film, but I think Jablonsky's music will create a more exciting atmosphere for a film likely to focus more on action than drama (I'll get into that in more depth below). The rating. 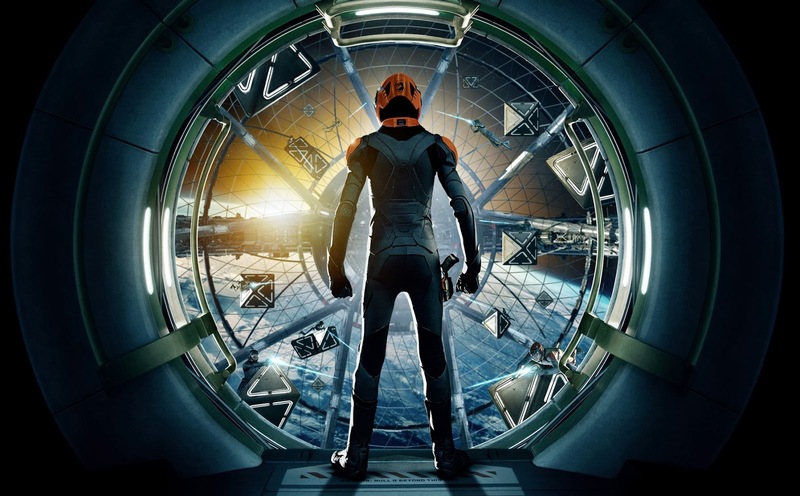 The decision to make Ender's Game PG-13 is obvious: it's Young Adult fiction, so if you want to carry the novel's audience over to the film you need to make sure they can get past the ticket counter. The problem with this is that the novel relied on disturbing violence to get part of its message across. The violence in the book can be divided into two categories. On the one hand we have the much more frequent violence of the games Ender plays with, and while this violence is much more pervasive it is also neutered of any emotional impact it might have. On the other hand there's the repulsive but infrequent violence enacted by Ender on the other children which serves to break up the routine and more importantly to show the underlying distress in Ender's character and eventually the truth of the "harmless" simulations. One of the keys to the book's (perhaps unintentional) satire is that it shows how the violence of militarism not only has a negative effect on the conquered enemy, but also the on conquering hero. It's not enough for Ender to realize that he was killing both Buggers and humans while he thought he was playing a game, or even that the Buggers aren't as evil and mindless as we thought they were. We have to see how Ender's mentors took advantage of a troubled child and used his weaknesses to accomplish their own agenda. From both the rating and the content of the trailers, it looks like we're only going to get the "fun" violence, and as such the film will do to its audience what Ender's teachers did to him. On top of this there's a short video which was apparently aired at Comic-Con and which amounts to a fake recruiting video for Battle School. The clip is clearly influenced by actual advertisements for the various branches of US military and seems to take itself pretty seriously. The advertisement reminds me distinctly of the fake ads in Starship Troopers (1997), but with one critical difference. Where the Starship Troopers ads were obviously silly and added to the satire of the rest of the movie, the Ender's Game promo has an earnest and sincere tone which leads me to fear that there will be no satire in the feature film (although the original Starship Troopers trailer was serious in tone as well). Add to this the promotional posters which verge of propaganda (pictured above), and my confidence in the likelihood that the movie will take itself too seriously is pretty high. Last and more obviously is the simple fact that the movie is being advertised as an action film. Obviously an adaptation of a book like this is going to be have a lot of action sequences, but there's not a single shot in any of the trailers hinting at an emotional journey for our young hero. It seems the most he will have to struggle with will be the increasing difficulty of the games and the jealousy of his peers. 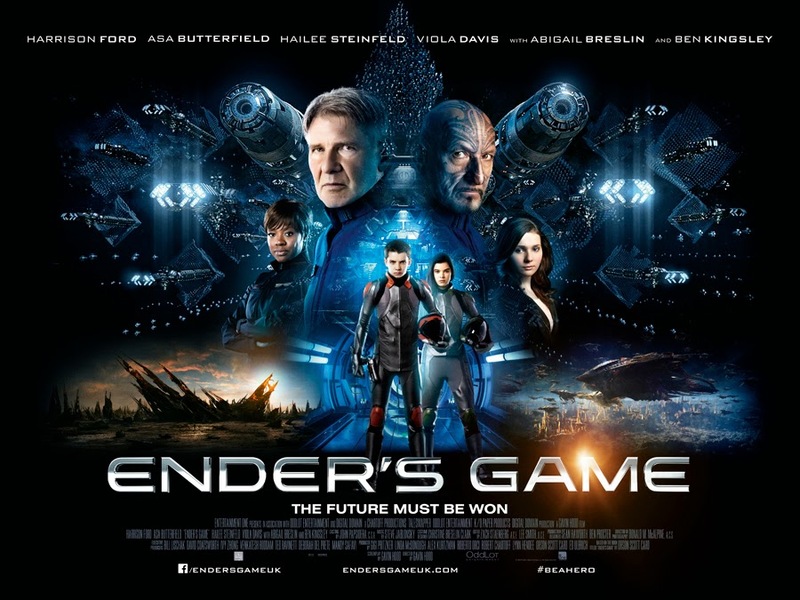 One of the most important elements of Ender's development, his growing realization that he embodies what he hates most about his brother Peter, the fact that, as his sister Valentine points out, it is "impossible to wear an identity without becoming what you pretend to be," is entirely missing. An important distinction here is that, while these are undeniably reasons I think the film will be disappointing based on its deviation from its source material, they won't be disappointing for that reason. If my predictions come true, the movie will be bad because it will be a bad movie, not because it will be an unfaithful adaptation. 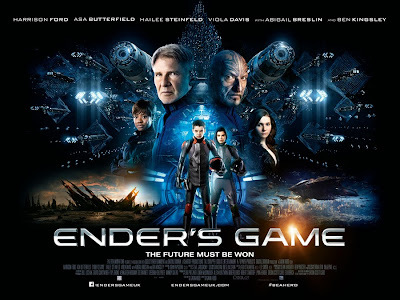 The difference is this: if you take the satire away from Ender's Game you get a blind praise of militarism, whereas if you cut Han Tzu out of the story (which they seem to be doing) you simply get a less detailed universe. Whereas the first eliminates the message of the narrative, the second simply degrades its quality, something which is inevitable when adapting literature for the screen. Am I still going to see Ender's Game? Of course. I'm planning to see it opening night in IMAX 3D, and I couldn't possibly be more excited. Honestly I hope I'm wrong. I just want to have reasonable expectations for what I'm getting myself into. Here's a great video I found on the topic of movie adaptations of popular books from the amazing YouTube channel Cinema Sins.